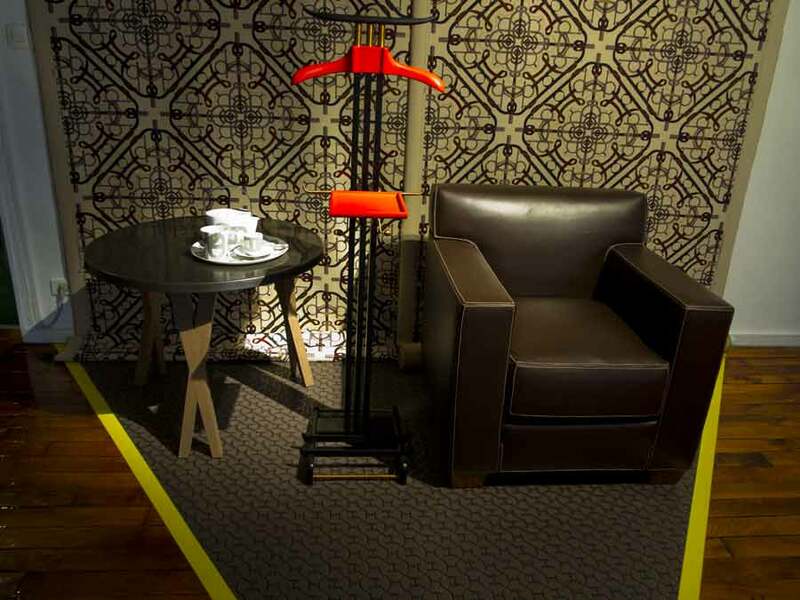 Hermès, from objects to spaces — Hermès’ vision of the home is first and foremost a state of mind. In one creative sweep, Hermès combines elegance, noble materials and exceptional expertise. 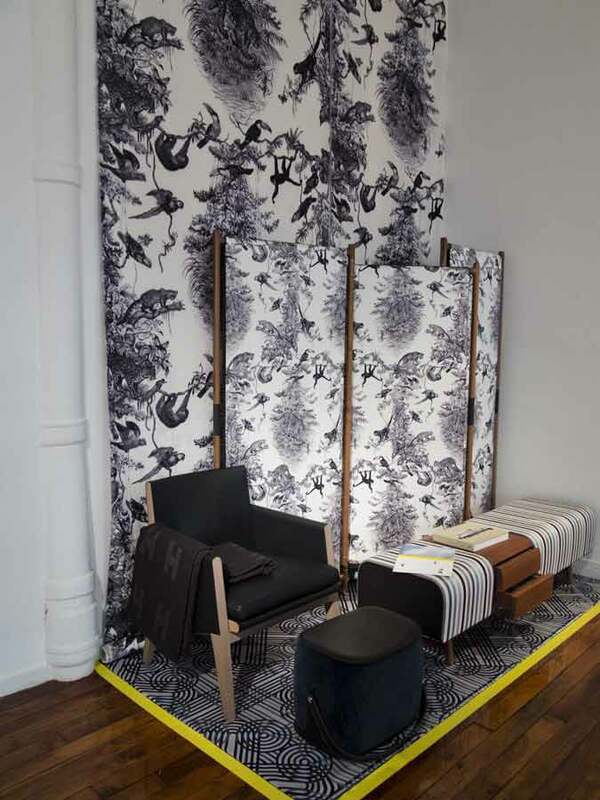 In 2011, this philosophy was embodied by a finely crafted range of furniture, furnishing fabrics and wallpapers. The following year, architect Shigeru Ban’s Module H modular system of architectural elements made subtle reference to former Hermès designs from the 1920s and 1930s, particularly those created in collaboration with interior designer Jean-Michel Frank. Today, Hermès unveils a new collection of cleverly designed furniture, fabrics and wallpapers that tell a story, bespoke pieces showcasing skill and surprise in equal measure. A contemporary vision of the Hermès lifestyle. 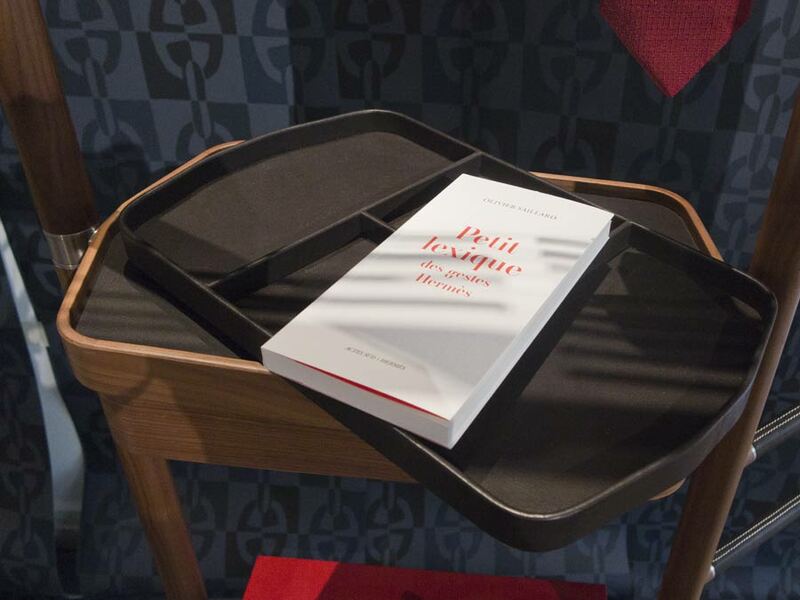 This is how French designer Philippe Nigro describes the eight valet stands, tidies and occasional seating he has designed. The collection takes its name from the French nécessaires, designating “essential” pieces that, until the 19 th century, held useful everyday utensils manufactured by highly skilled craftsmen. Each uncluttered, cleverly designed piece in the collection performs several functions. These essential necessities can be used for sitting down and relaxing, for storage or for concealing incongruous objects. Certain pieces contain concealed or sliding drawers, surprising features that bring a touch of magic to the everyday and offer a solution to the perennial quest for comfort and practicality. The Carrés d’assise, whose proportions are inspired by Hermès’ silk square scarves, are available in three different heights, meaning that they can be used as occasional seating or as a side table. The bench is inspired by a pommel horse, in reference to the equestrian world. Its ingenious design makes it at once a chair, coffee table and storage unit for a perfect addition to any room. 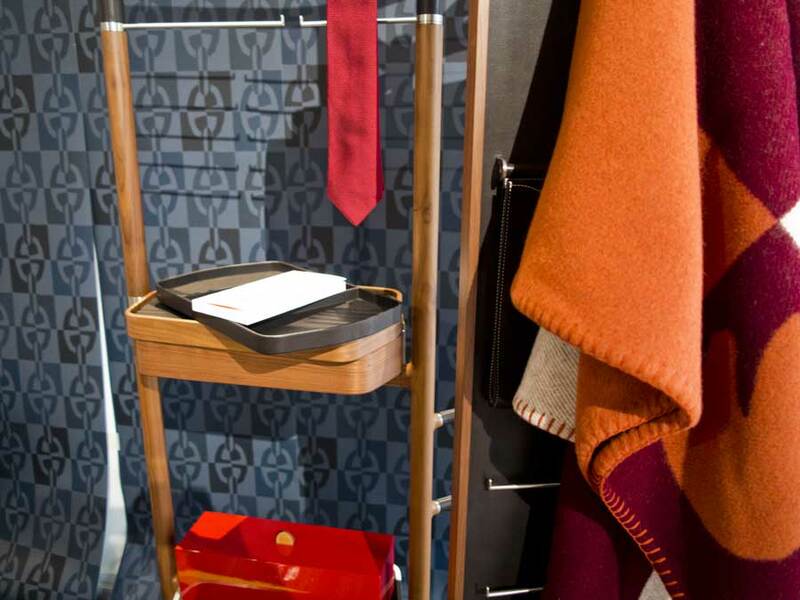 The Groom valet stand includes a range of storage and hanging features that are both practical and easy to use. 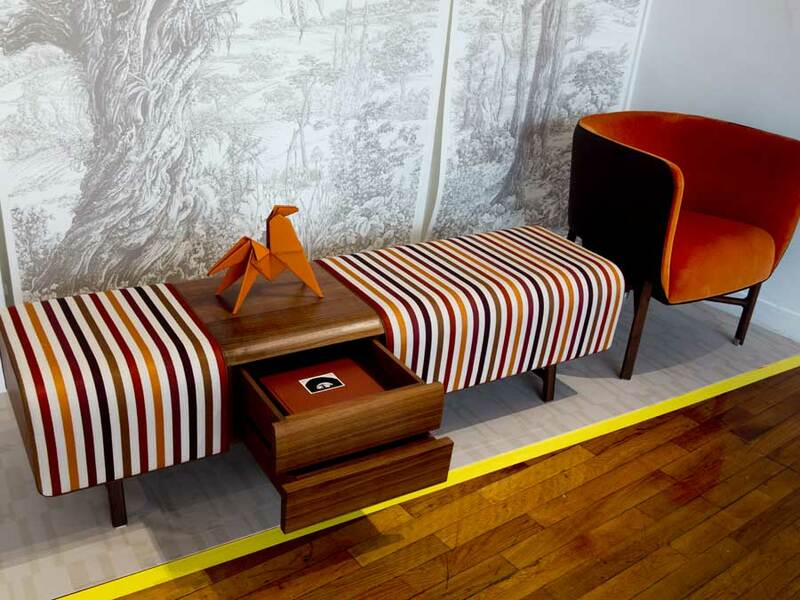 Manufactured according to the traditions of high-quality cabinetmaking and upholstering, Les Nécessaires d’Hermès combine craftsmanship and exquisite materials, such as Canaletto walnut wood in warm shades, brushed steel, leather and Hermès fabrics. 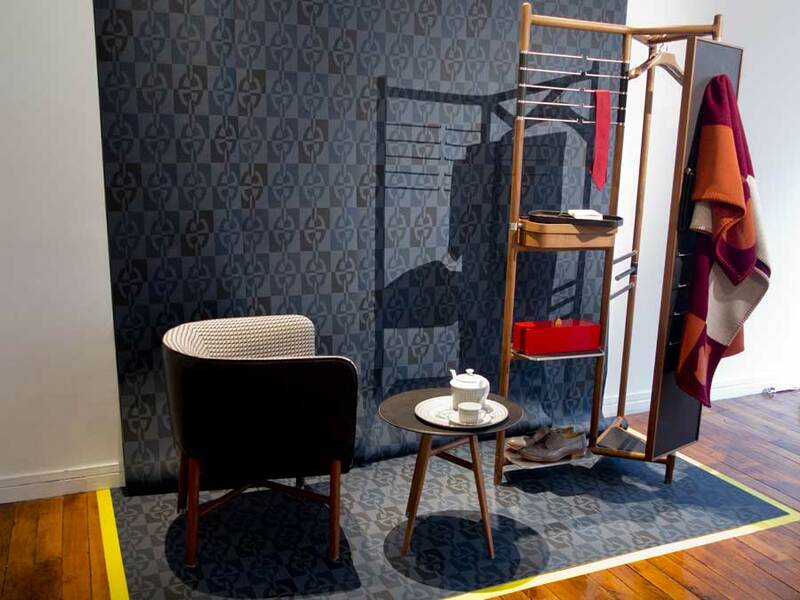 The new range of furnishing fabrics and wallpapers evoke Hermès’ preferred themes: horses, animals, plants and the sea. 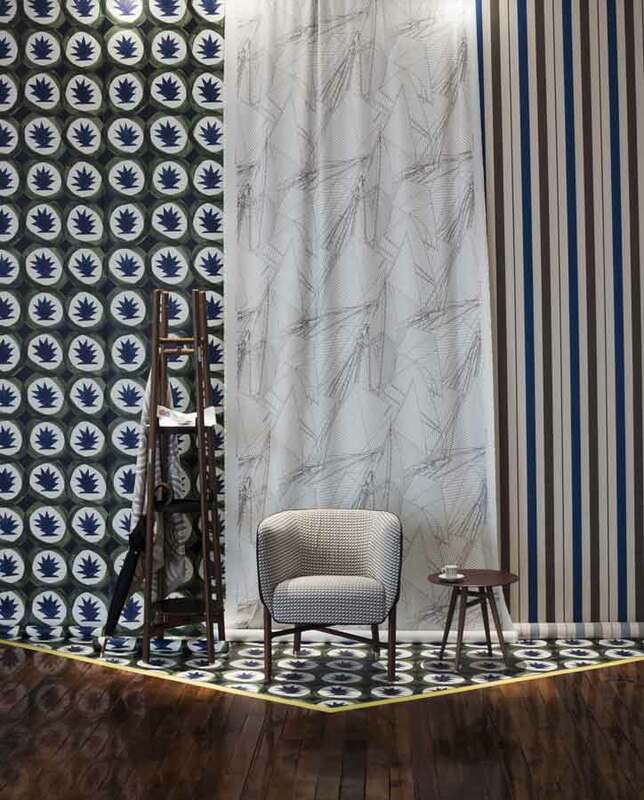 Combined with classic designs, these themes are expressed on hard-wearing yet sophisticated materials that are suitable for soft furnishings and set off some daring graphic patterns. This year’s collection is focused on three themes. — By the sea is inspired by regattas and faraway beaches. Softened linens, jacquards and cotton twills create a relaxing atmosphere, where yachting prints, succulent plants, nautical patterns and crayoned stripes evoke faraway travels. — Precious, available on silk, heavy satin or silk and linen jacquards, showcases ornamentation and constantly changing effects. Spirographie, an incredibly intricate silk jacquard, reveals the richness of ribbon design possibilities that highlight its flamboyant colours and subtle play on shades. Studded with precious stones and meteorites printed in gold, golden brown or chalky colours, Les Minéraux evokes images of old curiosity shops, while Brazil is adorned with ethereal designs of bracelets and feathered hair ornaments inspired by South American Indians. — The equestrian world is also present with stripes reminiscent of jockey silks and spurs printed on herringbone canvas and warm jacquards composed of cotton, wool, mohair and cashmere.